In a saucepan, bring orange juice, cinnamon, and cloves to a boil. Remove from heat, and let cool completely. 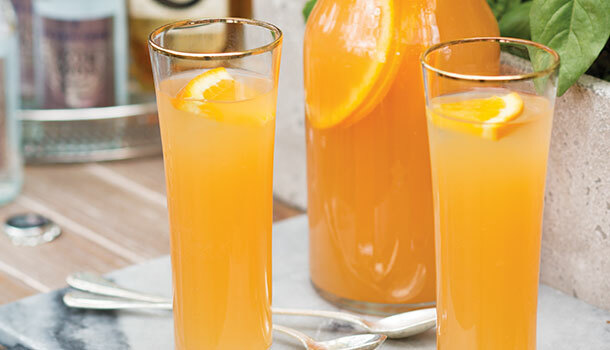 Strain orange juice mixture into a large pitcher, and discard solids. Add pineapple juice, rum, and peach nectar. Refrigerate 2 hours or up to 3 days. Add club soda, and serve over ice. Garnish with orange slices, if desired. Ad a few dashes of Angostura Bitters to that Rum Punch for real Tropical taste.